. Our children need and deserve LGBTQ curricula that will foster relevant connections to today’s legislation, pop-culture, media reports and politics. History UnErased, Inc. (HUE) asks us to imagine how different our world would be if lesbian, gay, bisexual, transgender, queer (LGBTQ) individuals, movements and activism were woven into the textbooks and discussions in our nation’s elementary, middle and high school classrooms. 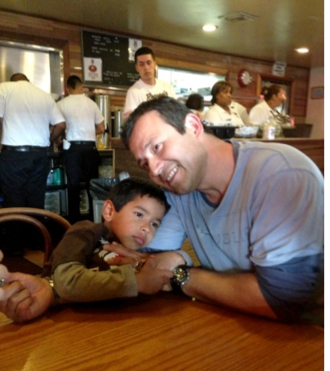 We are teachers of non-native English speakers in a large urban school system in Massachusetts, who witness the potential for peace, respect and friendship every day. We cofounded HUE because we understand – and see – how students process and internalize curricula, and how it shapes their attitudes and understandings of the world — and their place in the world. The classroom is where human rights can flourish. Our schools are not keeping pace with the advancements in our society associated with LGBTQ rights, though we have made strides towardreal and valid equality. In our children’s schools, LGBTQ people are most often viewed through the lens of victimization – if acknowledged at all. When you perform a basic google search, “LGBTQ topics and school,” the websites that appear relate to bullying, health class issues and HIV. LGBTQ topics are conflated with problems. We want to change that! The time is now to bring LGBTQ history into classrooms so children can study the role of LGBTQ people and organizations in the development of our nation and national identity. Our children need and deserve LGBTQ curricula that will foster relevant connections to today’s legislation, pop-culture, media reports and politics. HUE is grounded in the following premise: the inclusion of LGBTQ history and content in our K-12 classrooms will encourage a more equitable and just society for all, as every student will have an opportunity to see a respectful representation of themselves, family members and/or friends as a part of the history of our nation and collective identity. We are dedicated to honoring teachers through collaborative and exceptional training in implementation of lesbian, gay, bisexual, transgender, queer (LGBTQ) history in their classrooms and schools. 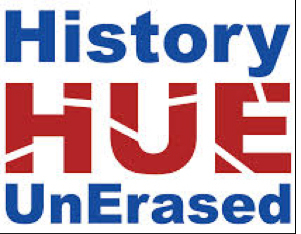 History UnErased has received a grant from the Library of Congress, which means HUE can offer full scholarships for its 3-day August workshops at Lowell National Historical Park. Please spread the word for teachers to learn about this great resource!